Play by Play is an open-to-the-public industry conference for game developers and hobbyists, run mid-April each year in Wellington. The Play by Play conference aims to be inclusive of all voices within the ANZ games development industry. 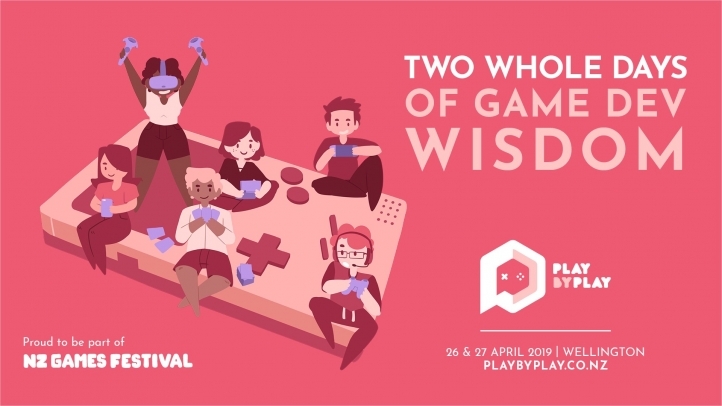 To this end, they feature a range of speakers from diverse backgrounds to speak on subjects spanning gaming tech, narrative, creative inspiration and work/life balance.